This is just terrible and heartbreaking for two families who had to deal with a range of emotions for a second time. 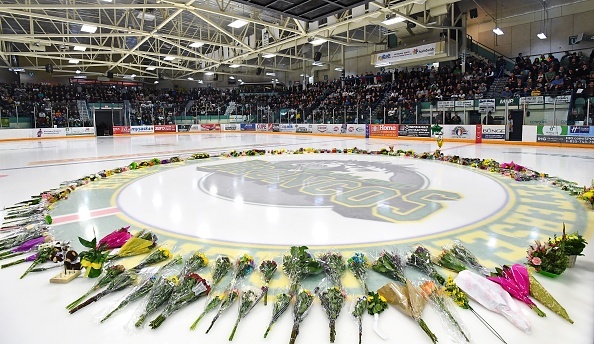 Two members of the Humboldt Broncos — one who was thought to be deceased and one who was thought to be alive — were misidentified by the coroner’s office, the Ministry of Justice said. 18-year-old Xavier Labelle was initially identified as one of the fatalities in the crash, only to find out he was alive. Meanwhile, 18-year-old Parker Tobin, who was identified as a survivor, was the one who actually died in the horrific crash that claimed the lives of 15 people. “Parker had been misidentified and was previously believed to have survived,” according to the statement. A total of 10 players perished in the crash that happened on Friday, along with the bus driver, two coaches, a volunteer statistician and a broadcaster.